Please note, that while our temporary shelter has not been open long, already the demand is high for cats needing our help. At AAPS, we will never turn away an animal in need. It is our mission to do all we can to give animals the best possible chance at a wonderful new life. We have limited space so may not be able to take your pet immediately. We do however treat each case individually. We ask that you contact us before coming down to the Shelter so we can explore options to help you and discuss when we can accommodate your pet. Our Animal Welfare Coordinators can be contacted on 9798 8415 or awc@aaps.org.au. No matter how desperate the situation is, we strongly advise against giving away animals to unknown persons or leaving your animal somewhere to fend for itself. This would be very stressful for your animal, they may fall into the wrong hands and risk being hurt and suffering a terrible outcome. It also makes it much harder when animals are brought to us with no history as we have no indication of their past, which slows down the rehoming process while we get to know them. If you have found an animal and suspect they may be stray or lost, please contact us on 9798 8415 for advice. The animal has the best chance of returning home if it remains in the area that it was found. The adoptions cattery in our new temporary facility is now open and you can visit us to meet the fantastic felines available for adoption. We have some incredibly special cats and kittens waiting for homes, so please visit us to see if we can help you find your next feline family member. You can also visit the adopt page to get to know the cats currently looking for fur-ever homes. The New Year has brought with it positive progress at our future site. The civil works at Perry Rd continued on schedule for most of January and February and those driving by would be impressed by the amount of heavy machinery constantly moving the earth around. They, seemingly independently, yet obviously coordinated, have finally finished and moved on. The coordination of the machines is made possible because the required levels specified by Melbourne Water are created in engineering programs that produce data files that can be loaded into the GPS systems of the heavy machinery. A bit of technical mumbo jumbo if you ask us but we are all impressed, here at AAPS, by their Google maps for moving dirt. As mentioned, the works moved on schedule for most of January and February minus a few delays to sort out the electrical components. However, this has now been sorted and the civil works, like asphalting the road, are getting back underway. We envisage the civil works to be completed by early March 2019. If you happen to be driving past, please take a minute to turn off into Aegean Ave and have a look at how much progress has been made. The road is clearly apparent, and the footpath has been created and very step forward is a huge leap for our animal kind! A shot of the levelling work completed by the heavy machinery at Perry Rd. The AAPS Committee of Management, in conjunction with our new General Manager Sean Coleman have been working hard on finalising the design of the new buildings. A workshop with representatives from our building partners and AAPS was held to explore ideas such as the creation of boarding facilities and an increase in consulting and surgery rooms in the vet clinic. It was a very productive workshop and we are now waiting on the next version of drawings. These will be ready soon and a submission for our endorsed planning permit will commence thereafter. Council will take some time to review the submission before granting the endorsed planning permit, but once received, we can focus wholly and solely on getting this facility built for the animals that need us. 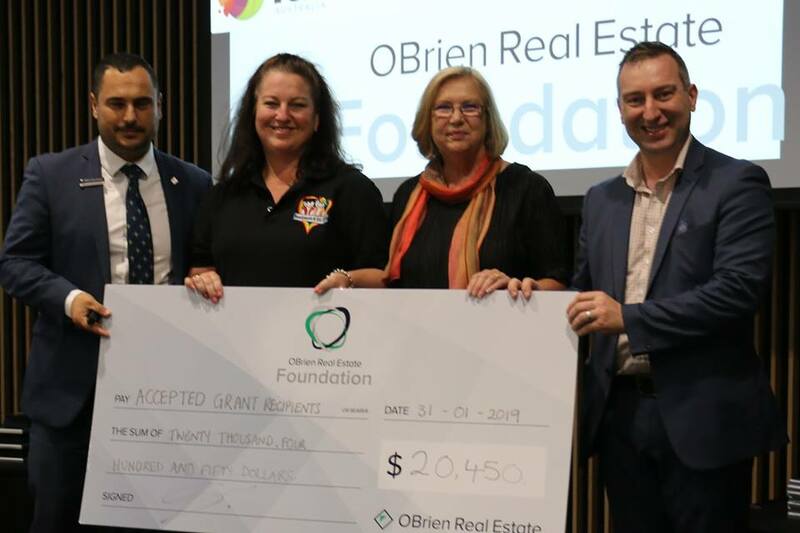 The AAPS team were thrilled to be awarded a share in a grant from the O'Briens Real Estate Foundation. The foundation loves to see the positive impacts their sponsorships have on the local communities and we intend to put their generous donation to good use. Our General Manager, Sean Coleman (far right), happily accepted the grant on behalf of the Shelter this week. Animals are the main occupants of the shelter, which leaves minimal space for essential items such as food, bedding, enrichment toys and much more. This is why the grant will be put towards building necessary storage and shelving units throughout the shelter. Providing the very best care for the animals is our number one mission, along with providing a safe and organised environment for our staff and volunteers. From all of the animals, staff and volunteers at AAPS we thank the O'Brien Real Estate Foundation for their support, kind grants and donations such as these (no matter how big or small) allow us to continue our animal welfare work within the community. After many months of hard work adhering to regulations, it is a pleasure to report that we finally have our full Certificate of Occupancy and approval from Dandenong Council. This means that we are fully operational and are now able to start caring for dogs too. The dog kennel designs were tweaked to incorporate the research gained by the team from their trip to the Battersea Dogs & Cats Home. The changes we have made will benefit the mental well-being of animals that come into our care in an aim to reduce length of stay periods. Once construction activities ceased, an earnest clean up of the premise begun and the staff were happy to showcase the temporary home on December 2nd at our Christmas Market Day. Anyone driving past in recent times would be impressed by the heavy machinery working hard to prepare the site of our new facility. Work started in September and since then, the progress is obvious every day. First to go sadly were over 40 trees along with the blackberries and gorse bushes. The next stage was taking down the infrastructure like the house and sheds. Recent work has focussed on bringing in the required fill and this is progressing quickly. Prior to the Christmas shut down, Sandridge Roads are aiming to have completed the bulk of the fill, sewer connectivity, water mains, capping layer of the road and the roadside gutters. The final activity is the pouring of the asphalt and this will occur in mid-February. Allowing for the paper work process, we hope to have the Permit of Subdivision by the end of April 2019. Two members of our team are heading to Brisbane to tour a newly built animal shelter and gain knowledge and helpful insights regarding the transition, design, and building processes. The target is to then finalise the design, create the necessary documentation for council approval and be ready to start construction as close as practical upon receiving the Certificate of Subdivision. What a successful and uplifting day the Christmas Market was. Not only did we raise more than eleven thousand dollars for the animal shelter, but also the community turnout reassured us that we have done the right thing by keeping our doors open whilst the new facility is being built. From 10am-3pm we had a wonderful showing from the community with their furry friends come and enjoy tours of the temporary facility, get their pet photos with Santa, socialise with the cats, check out the buns and pigs room, eat the gourmet vegan food and sip ethically sourced coffee, and wonder around the market stalls. We got lucky with the weather too, having only a few drops of rain and gusts of wind. The hamper, raffle, and silent auction stalls were very popular and we appreciate everyone who donated items towards them. The wonderful Dianne giving a blessing of the animals made the day even brighter. She had quite a lively crowd of dogs gathered around, some noisier than others, but most hanging on every word and when it came time to sing Christmas carols the four-legged choir howled along, somewhat in tune. The day was topped off with a dynamic doggy parade with awards given to the oldest AAPS dog, best trick, best-behaved dog, best-dressed dog, bravest dog, and look-a-like dog and owner. A big thank you to the staff and volunteers for their time and the amazing effort they put in towards making this day happen. Lastly, we would like to thank the community for their support during our time of transition. The market day support proved the work we do within the community is invaluable and we are glad to be able to continue helping animals in need of our care. Noah was engaged both day and night in feeding and caring for the animals, and did not sleep for the entire year aboard the ark. Now, we aren’t saying that we’re akin to Noah, but we are setting ourselves an ark like task of building a new animal welfare facility on land purchased on Perry Road, Keysborough that will speak to all walks of life. Its major focus will be on the animals that need our care. We have this incredible vision and, like a dog with a ball, we are chasing it. "What if” is not in our vocabulary. To us, it’s also not a matter of building just an animal shelter; it’s a matter of building a facility that will benefit the wider community. Our dream is big and along with comfortable pens to house cats, dogs, rabbits, guinea pigs, birds, and all other animals in need, we will create outdoor areas for training and nourishment. It costs a lot to care for all the animals and as a not-for-profit organisation we rely heavily on donations from the public to carryout our good work. We know it’s not viable to continue like this, therefore, at our new place we will set up a vegetable garden to grow some of our own food and plan to install solar panels and water tanks. Preparations and works for this new facility on Perry Road are underway and we are fully aware that we need to generate income for future years, so we are hoping to build in possibilities for this purpose along the way. You may be wondering how we got to this point, it has been and will further be one of the most challenging things we are going through, but we wouldn’t change it. We strive to make a difference in our community everyday and we relish the opportunity to extend our reach. The journey towards this new animal safe haven began in years previous and you can follow our way forward on our Facebook page and website. “Protecting animals, changing lives”, is our mission statement and we are dedicated in continuing to make a difference in the community. The compulsory purchase of our former site in Keysborough, by the Department of Education, lead us to purchase a new site. The Keysborough site was closed on June 30th 2018 and as the newly acquired land, in Perry Road Dandenong, is not yet habitable we are currently operating from a transitional site. We are aiming to build a new shelter on the land we have purchased, which will be able to house double the amount of animals we currently save every year. This new shelter is still in its planning stages and due to the required vacation of our Keysborough site, we have since obtained a temporary facility that will allow us to continue to operate until our new home is finished. This temporary facility is located in Bangholme Road, Dandenong South. Unfortunately, due to zoning restrictions we were unable to relocate our outpatient vet clinic and as such this will be closed until we move to our final home in Perry Road. At present, we are working closely with council to ensure we meet all requirements for both sites and we appreciate your support during this difficult and ever changing process. We will continue to keep you up to date with all of our relocation news via this page. Questions are always welcome and we aim to be completely transparent during this challenging time. You are welcome to contact our committee via email: president@aaps.org.au or via phone: 9798 8415. Our final home in Perry Road will be a sanctuary, not just a shelter. A place where animals will have their lives turned around. A place where they are loved, warm, and we can find them a 'forever' family. Our new home will double our capacity and allow us to save twice as many animals as we can now. Our mission has been to never turn an animal away and this new facility will allow us to continue to provide an open door policy for our community and the animals who need us. Our biggest hurdle is raising funds. As a not-for-profit, self funded animal shelter we rely on the kindness of our supporters in helping deliver the best for all animals that fall under our care. Donations will help us build the sanctuary we are so desperate to deliver the community and, most importantly, help us save the lives of many animals every year. Our vision is big and achievable but we need your help. Our Animal Shelter is relocating and 126 animals currently in our care need to be placed into homes by 20th June 2018. From today until June 20th all adoption fees will be halved. Our current shelter at Keysborough has been acquired by the Education Department and although we have purchased a new property to develop, it won’t be ready in time to meet the deadline when we have to vacate. A temporary location has been found however due to all the Council requirements that we need to conform to, we are greatly concerned we may end up with a number of animals and no place to house them. With your help we are hoping to find homes for approximately 100 cats and 26 dogs. We need help to put a call out far and wide for foster carers, rescue groups and the general community to step forward and offer either temporary or permanent homes for these lovely animals. A new Committee of Management was elected 12 months ago and was charged with the enormous task of moving the entire shelter by June 30th this year. 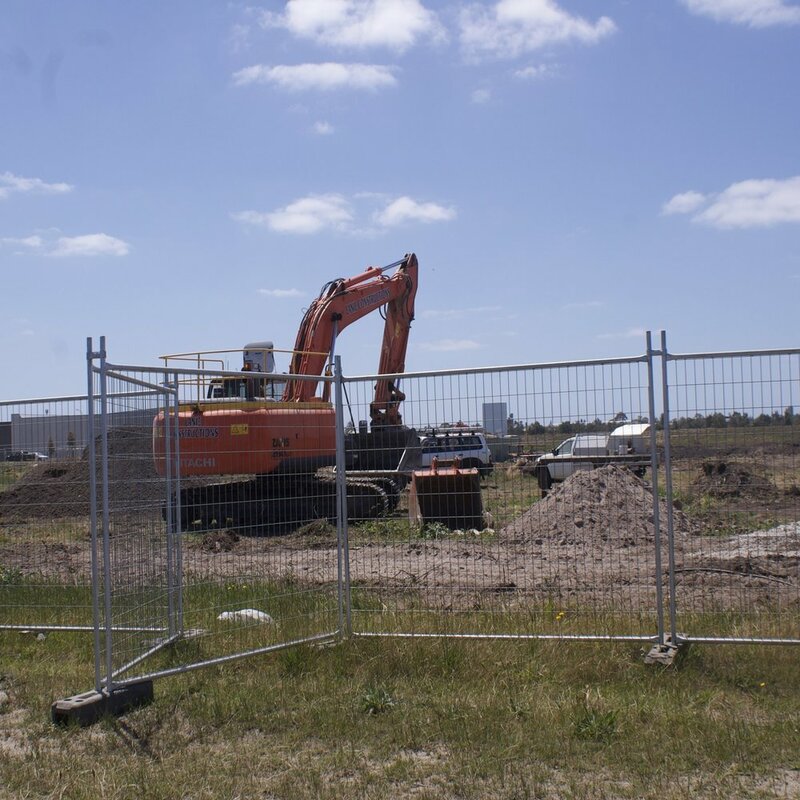 It soon became apparent that the site purchased in Perry Road, Keysborough would not be ready in time, so the search began for a temporary site. After visiting all manner of properties in the Dandenong area, each with their own logistical problems, we finally found a temporary home that ticked most of the boxes and we rejoiced. We expected a few problems in readying this site for animal use, however not the roller coaster ride we’ve endured. We now have 6 weeks to go until we have to move and although on the threshold of Council signing our permit, we will still have to fit out the property with pens and facilities to care for the animals to be housed there. We cannot risk having animals and no place to take them. The Australian Animal Protection Society is a not for profit organisation that receives no government grants but relies solely on donations to operate. AAPS have never refused to accept an animal into its care and have worked tirelessly over the last 40 years to give shelter and a future to thousands of animals. 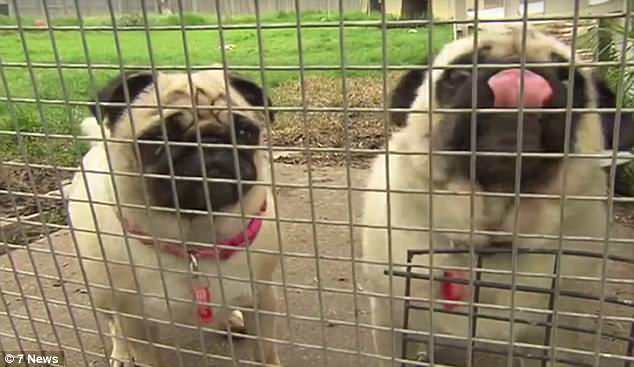 We intend to continue this work once we are settled into our temporary site at 132 Bangholme Road, Dandenong South but we just have to ensure the animals currently in our care are safely settled elsewhere and request your help to facilitate this outcome. If you can adopt, please visit, if you can’t – please share, if you are from a rescue group or are interested in fostering please call our office on 9798 8415.